Fakhar-e-Alam (Born January 19, 1976) in Lahore, Pakistani actor, host, VJ and singer, popular for introducing the pop/bhangra genre of music in Pakistan. Though he is still considered a pioneer of pop/bhangra music culture in Pakistan, now he is much more popular for hosting TV shows and appearing in military/governmental sponsored music shows. Alam was met with amusement in 1993 when he launched an unusual single "Bhangra Pao". These were early years of video music in Pakistan and almost anything sold. The single was also broadcast on MTV. A previous pop band, Strings were the first Pakistani band to appear on MTV in 1988. Born on 19 January 1976 in Lahore. Fakhr-e-Alam spent his early childhood in Lahore, before moving to Islamabad. He did a lot of traveling right from the beginning as his father was in the Foreign Service. He started his schooling in Islamabad, and then went to school in the USA, while his father was posted in the United States Congress. After a few years of U.S education and exposure he returned to Islamabad to finish his schooling. Upon his arrival in Karachi, Falam was offered the position of a CEO, in an electronic media marketing company. He took the offer and stayed with the company for 3 months. Set the company up for a big launch, got it on its feet and walked away bored and tired with his role as the CEO. He then launched his own production house, called Industree Productions. Currently in the pipeline are Telefilms, more TV shows and a TV drama serial. On the other front he is looking forward to establishing a computer software business and fashion business internationally. Fakhr-e-Alam has done shows for all major TV networks of Pakistan. GEO, ARY, TV one, INDUS, AAJ TV etc. Very recently for GEO Television, Fakhar-e-Alam hosted the show Bolain Kya Baat Hai (English: Tell us what the matter is) telecast on GEO Super in which he interviewed various sports personalities and discussed cricket and other sports-related events. Fakhr-e-Alam has hosted over 6000 episodes various shows on TV. 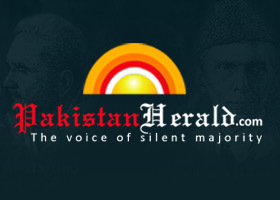 Fakhr-e-Alam started a new entertainment show called The Big Show on CNBC Pakistan from 17 December 2011. Fakhr e Alam's new show Aghaz e safar will be on air from 18th April 2014. This show is produced and directed by Shermeen Obaid Chinoy Pakistan's only Oscar winner. 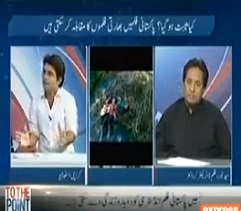 The show is based on real live stories of Pakistanis throughout Pakistan. This is the first time ever that Sharmeen Obaid Chinoy has produced something for a Pakistani TV channel. The show will be aired on AAJ TV. Fakhar-e-Alam is the CEO of Alam and Alam, a company based out UAE. The company has diversified business interests, and has expanded into South Africa, Morocco and UK. Alam and Alam has just recently launched its technical services sister concern by the name of Smarteca. The company has recently hired several technicians In HVAC, allergy control and thermography. Falam Ab Tak - last release in 2004 which contained the single Akh we larani hai.